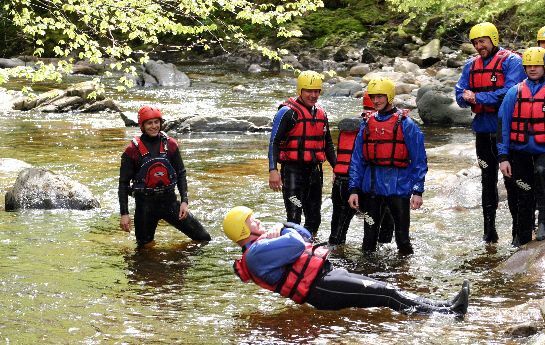 This Canyoning activity takes place in the amazing Allt a’Bhealaich Gorge near Kenmore and Aberfeldy. Enjoy a whole variety of fun and challenging obstacles as you make your way down the narrow gorge. Take it in turns to leap off rock ledges into deep plunge pools, then scramble down natural water slides and be lowered over a waterfall by rope. No previous experience or ability to swim is required. 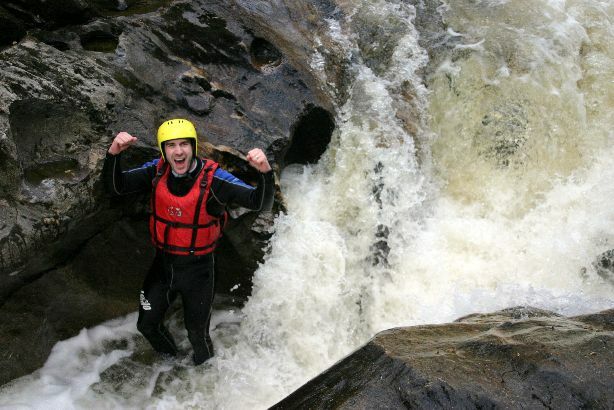 Canyoning near the River Tay between Kenmore and Aberfeldy in Perthshire at the Allt a’Bhealaich is an excellent introduction to the longest running and original canyoning trip in Scotland. In essence it is a little piece of canyoning history in Scotland. 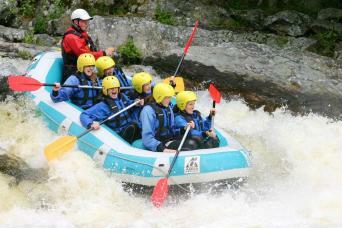 This adventure activity is well suited to small groups or individuals from the age of 12 years. 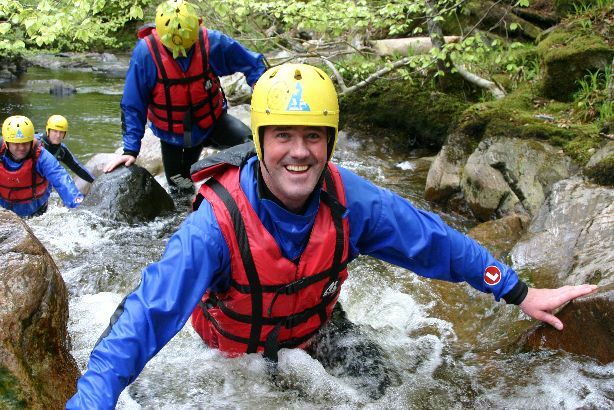 Canyoning is not widely known yet originates as far back as 1888 in France from some speleologists or cavers. The stream that has carved the gorge out to form the canyoning trip has a name of Allt a’Bhealaich and this translates from Gaelic as the Burn of the Pass, or stream of the pass or creek of the pass. The trip entails meeting at the location where wetsuits and climbing harness are issued. A short walk up the hill before descending through short jumps into plunge pools and sliding down natural flumes. The trip highlinght is the descent of a waterfall by rope. Short walk back to the meeting point where you can change into your dry clothes.